The tenth annual Denver Beer Week, presented by VISIT DENVER in partnership with the Colorado Brewers Guild, takes place Sept. 27 - Oct. 5, 2019. Enjoy nine days of all things beer during Denver Beer Week. From September 27 - Oct. 5, 2019 there will be more than 160 beer-related events in Denver, America’s #1 beer city! 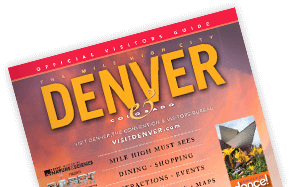 Head to The Mile High City for tap takeovers, rare beer tappings, firkin nights, meet the brewer events, beer & food pairings and much, much more. The week culminates with the Great American Beer Festival, the largest beer competition in the country! From the rough and tumble saloon days to Denver Beer Fest, The Mile High City and beer history are intertwined through the ages.